When 100 rising and senior scholars from across North America and Europe convened at William & Mary, "the room was packed and bustling with feedback and ideas," noted Jessica Lamont '08. 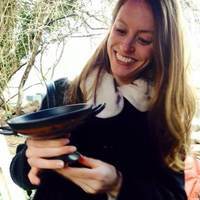 She's now an assistant professor of classics at Yale University and delivered a paper on certain demographic features of ancient Athens. Featuring seven structured sessions over two days, the annual conference of the Association of Ancient Historians (AAH) delved into a wide range of topics, including panels on ancient Mediterranean religion, archaeology, and ancient democracy, as well as food and drink, ancient travel, and ancient Persian and Anatolian Studies. The event was hosted April 19-21 by the Department of Classical Studies, with the assistance of the History Department at Christopher Newport University. It was funded in part by the Arts & Sciences Annual Fund. Samantha Nussbaum '18, president of the W&M Classics Club, organized the contributions of current undergraduate students, who assisted with advertising, registration and hospitality and also attended sessions, met scholars and graduate students, and learned about opportunities and challenges in the field. For Lamont, "It was both a pleasure and an exciting professional opportunity to return home to William & Mary for the AAH conference. The Department of Classical Studies offered me so much during those four years. Now I am able to teach these things in my own classroom ten years later." 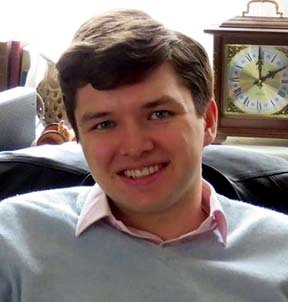 Greg Callaghan '14, currently a classics Ph.D. student at the University of Pennsylvania, delivered a paper on the military contributions of non-Athenian citizens to Athenian democracy. He noted the welcoming, supportive atmosphere at the conference, especially toward the younger members: "Many senior scholars took it upon themselves to sit down and speak with me over the course of the conference, and several sent messages after the event to ask questions or offer suggestions about the paper I delivered," Callaghan said. The conference closed with a keynote address by Elizabeth Meyer, T. Cary Johnson, Jr. Professor of History from the Corcoran Department of History at the University of Virginia. The Association of Ancient Historians is the premier organization of Ancient History professionals in the United States and Canada. It seeks to foster a regular forum for scholarly interaction among historians of the Ancient Mediterranean, especially among those who study the Greeks and Romans.